SHASTA-TRINITY NATIONAL FOREST, Calif. (AP) — A stretch of a major interstate near the California-Oregon border will remain closed through the weekend as crews try to tame a wildfire roaring along the roadway, forcing truckers and other motorists to take lengthy detours, officials said Friday. It has destroyed thousands of trees — some 70 feet (20 meters) tall — that could fall onto the roadway, she said. “We just sent him articles from our local newspaper about the fire. He said, ‘Sorry, do what you can,'” Shufelberger recalled with a laugh. 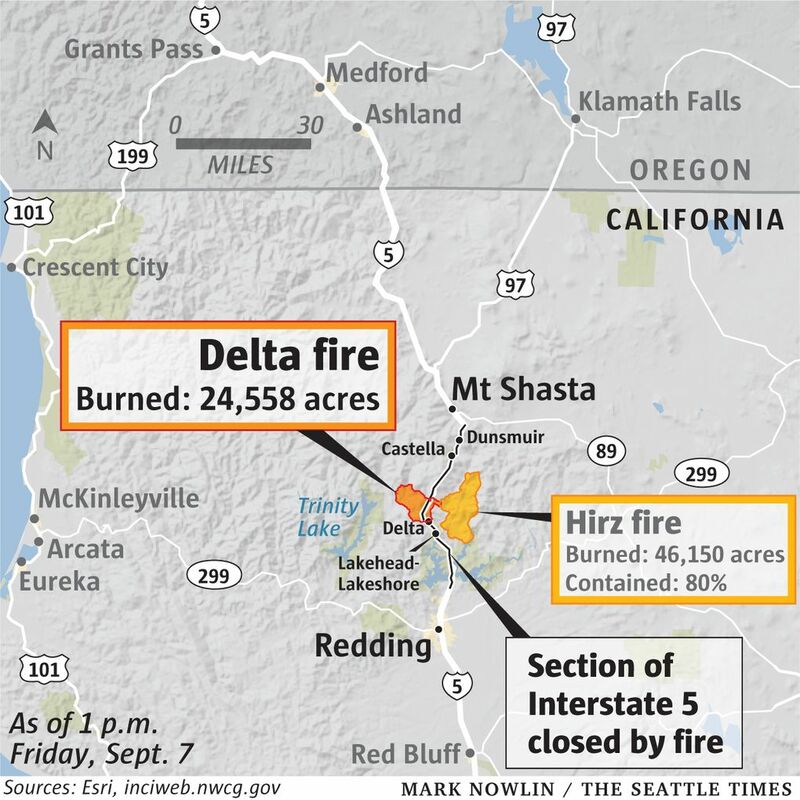 The Delta Fire had burned more than 34 square miles (89 square kilometers) of timber and brush and prompted evacuation orders for scattered homes and buildings in three counties in and around Shasta-Trinity National Forest. At times, flames shot 300 feet (91 meters) into the air. 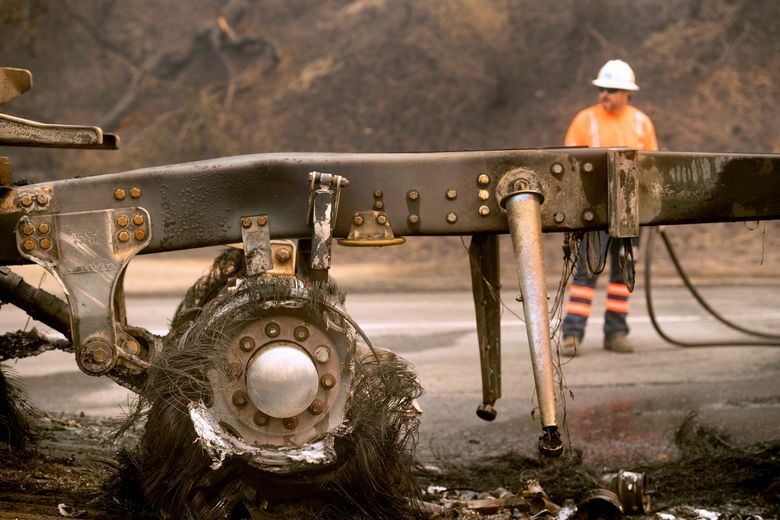 The unrelenting flames have drained California’s firefighting budget and prompted victims to file more than 10,000 claims totaling nearly $1 billion in property claims — even before the start of the dangerous fall fire season, officials said. The previous fire near Redding and another in the Mendocino area — the two largest blazes in the state this year — destroyed or damaged 8,800 homes and 329 businesses, Insurance Commissioner David Jones said. The Mendocino fire was expected to be fully contained by Sunday, more than six weeks after it started.